This is what so many have been waiting for! 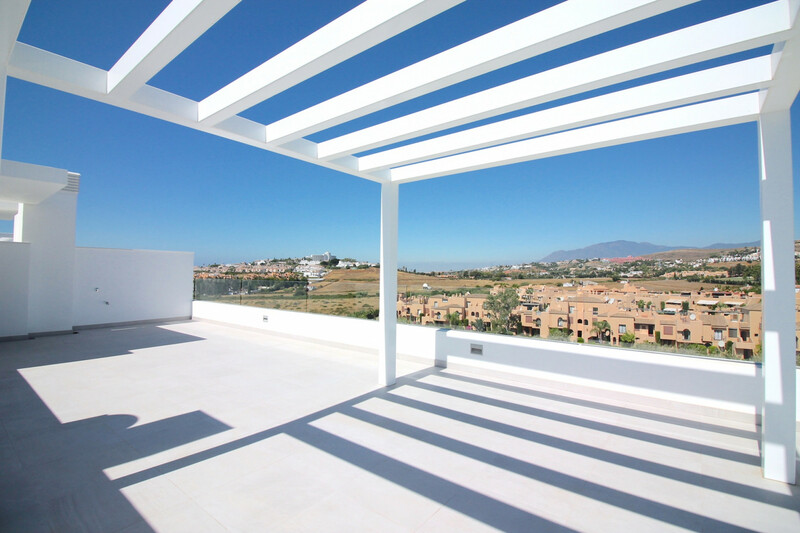 Looking for a brand new Estepona apartment with panoramic views and walking distance to town? What more could anyone want? This new project of 47 lovely apartments is already under construction and is proving to be as popular as was anticipated. Located on the elevated hillside overlooking the busy town of Estepona, this project of new homes has been designed to ensure that the criteria looked for by so many discerning buyers are presented. Delightfully set in landscaped gardens forming part of the community in which these Estepona apartments are found, the architects have ensured that each and every unit will benefit from an abundance of light and space, and will enjoy guaranteed and uninterrupted views across the nearby town, the local port and to the Mediterranean Sea beyond. With everything on the doorstep, this is the perfect solution for those who want to enjoy the Costa del Sol in it's entirety without having to use a car. And with easy access from Malaga's International Airport just an hour away, and with the Rock of Gibraltar within a 30 minute drive, convenience and accessibility is ensured. The apartment homes in this new Estepona project are offered with either 2, 3 or 4 bedrooms, with the spectacular views from the penthouses being of exceptional note. Inside the attention to detail is excellent, with attractive ceramic floor tiles giving that contemporary edge that is looked for nowadays in a Mediterranean home. Italian appliances are used in the kitchens creating a state-of-the-art food preparation area, from which the terrace and external views can be seen thanks to the open-plan design of the kitchen, living room and integrated dining area. This is it! Possibly one of the very best current developments of Estepona apartments on offer today.